This is a heavy duty 2S hard case lithium polymer battery charge/balance adapter lead from ProTek R/C. This 13" long charge lead allows you to plug a 2S battery with 5mm female bullet connectors directly to your charger, eliminating the need for a balance board! This adapter lead features 4mm banana plugs on the charger end, and 5mm banana plugs on the battery end, connected with 14awg wire. The balance wires include a 2mm banana plug on the battery end, with a 7-pin XH plug connected with 22awg wire for balancing that is plugged directly into the 6S balance port in the charger. 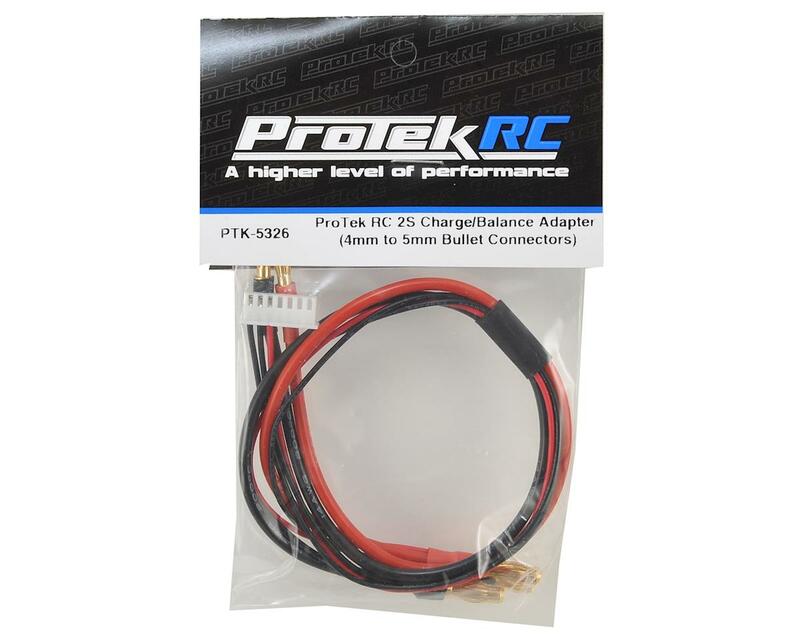 This charge lead is specifically designed to connect a ProTek R/C 2S LiPo hard pack with 5mm connectors to ProTek R/C chargers, but will also work with any charger that uses 4mm bullet connectors for output, and has a 7-pin (6S) XH balance port. Nice durable leads. 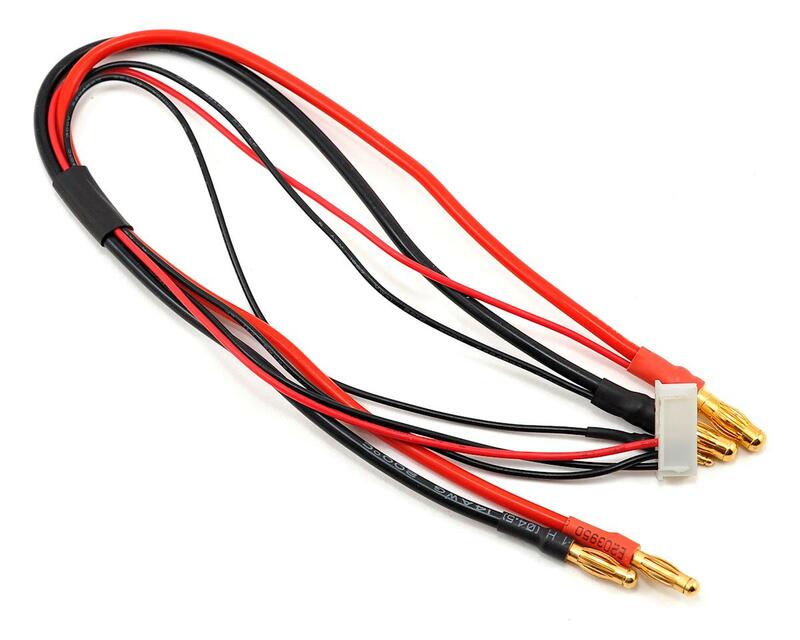 Not expensive, but keep in mind when charging especially at high amps you want your leads to be 12 gauge or larger. These are amazing for what they are though, and they deserve 5 stars. Great well built leads, quality connectors, quality soldering and convince of no balance board needed. Two things i would change, make them longer and add some sort of sheathing for them. Would buy again. Awesome product for the owners of batteries with 5mm bullet connectors. 3 cables in one, much less bulky and much easier to use. The 5mm connectors are banana with spring, so they are much easier to insert/remove that high current bullet connectors. Great charge lead, works perfect. I really like how the balance adapter plugs right into the charger without needing the balance board. Unplugging the cable from a charger or battery feels like I am going to rip the cable out of the bullet connector. The strain relief could be stronger like the cables that come with the ProTek quad charger.